the Alabama faithful have said, with confidence, that when Saban finally retires, Dabo is only a phone call away. Their logic was that he would be more than eager to “step up to the next level.” Well...what happened? Dabo already stepped up to the next level . Dabo will get a call for sure. If it was today, he stays, but nobody knows the future. Well, one bright spot of Saban’s press conference after the Alabama spring game was when he said he wanted to coach at Alabama for many more years. It was part of the reason why he wanted to go ahead and get his hip fixed. repeatedly said he would not be the next coach at Alabama, literally almost right up to the day he was. Sounds like a line he’s selling recruits. Kirby is using the age card against him. It seems like Dabo's relationships with too many Clemson people through all of the years would stop him from ever going back to Bama. I would be somewhat shocked if it ever happened. 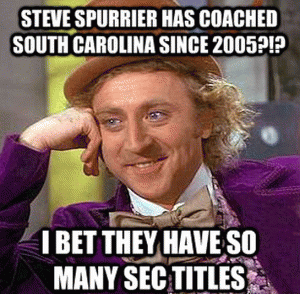 All it takes is a few bad fans that are frequent donors treating Dabo like Jimbo Fisher was treated at FSU, and he'll be gone. He'll remember and respect Bama as he continues to beat them for many years to come.